For our Summer Exhibition, Alison Pullen worked in situ at locations such as Royal Chelsea Hospital and Kew Gardens and painted the glasshouses and gardens there. 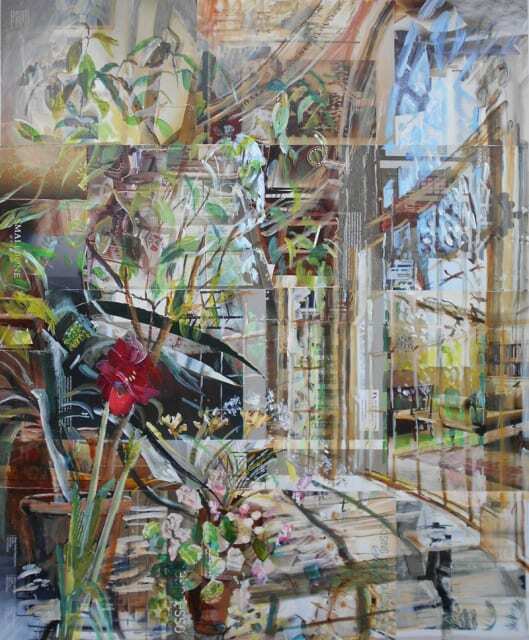 Well-known for her representations of interiors, this new collection of paintings might seem something of a new direction in Alison Pullen's practice. However, this is not the first time Alison has painted outdoors - click on the link below to find out more about the inspiration behind the new work.